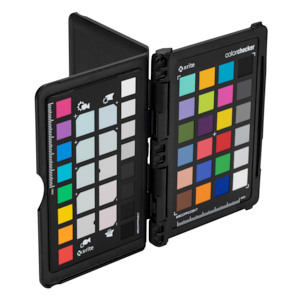 Colour management and measurement specialists X-Rite has introduced a new ColorChecker Passport Photo 2 target that has four targets (instead of three, previously) including a new 18% Grey Balance target and new software for the creation of custom ICC camera profiles for use with Capture One Pro or any other workflow that uses ICC profiles. Lightroom users have not been left out as the new software solution will also create custom DNG profiles as per the original offering. The addition of LCC profiling for Capture One Pro (profiling is not compatible with the Capture One version bundled with Sony and Fujifilm cameras) should be welcomed by any professional or enthusiast looking for improved colour accuracy when working with custom lighting solutions. The new ColourChecker Passport Photo 2 target is available now while the Camera Calibration Software v2.0 is available as a free download from their website (the site allows the download of a public beta with an option to be notified when the final version is released). Birmingham, UK, 11 April 2019 – X-Rite Incorporated, the world leader in colour management and measurement technologies, aannounces ColorChecker Passport Photo 2, an improved solution that helps professional and enthusiast photographers alike to reduce image processing time and maintain colour control and consistency from capture to edit. Quickly and easily set white balance and exposure, create custom DNG or ICC camera profiles, and instantly enhance portraits and landscapes.